The City of Fullerton has joined efforts with the United States Census Bureau to participate in a Fullerton Complete Count Committee and began public engagement, awareness and education for the 2020 Census. April 1, 2019 marks the 365 day countdown for the 2020 Census. The census counts everyone living in the United States every 10 years. In 2020, when residents respond to the census, they should expect to count everyone living in a home on April 1, 2020. Most households will get an invitation to respond in the mail or a census taker will drop it off at their door. The City of Fullerton will be participating in a Complete Count Committee - a volunteer group focused on engaging and educating the community on the importance of self-responding for the 2020 Census. 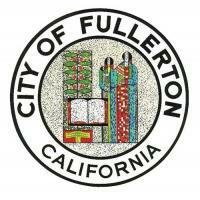 The Committee’s goal will be to achieve a complete and accurate count of all Fullerton residents and stakeholders. More than 1,500 Complete Count Committees have already formed across the country. The U.S. Census Bureau is currently hiring for temporary positions to help update address lists and maps with several positions available in the Fullerton branch, slated to open summer 2019. Additionally, the U.S. Census Bureau is hiring 1,500 partnership specialists across the country. These staff engage with community leaders and other trusted voices, especially for hard-to-count populations. To view a list of jobs, visit www.2020census.gov/jobs. Responding to the 2020 Census will be easier than ever before, with three ways to respond— online, by mail or by phone. Responses to the 2020 Census will shape decisions about how public funds are spent for schools, fire and emergency services, and healthcare for your community. Census results help determine how more than $675 billion in federal funding is distributed to states and communities each year. That money helps pay for roads, schools, hospitals (health clinics), emergency services, and more. All responses to the 2020 Census are safe, secure and protected by federal law. Answers can only be used to produce statistics and cannot be used against a responder in any way. By law, all responses to the U.S. Census Bureau household and business surveys are kept completely confidential. Residents are encouraged to follow the U.S. Census Bureau on social media and sign up for email notifications to receive up to date information on the 2020 Census. For more information, visit www.cityoffullerton.com/census2020.